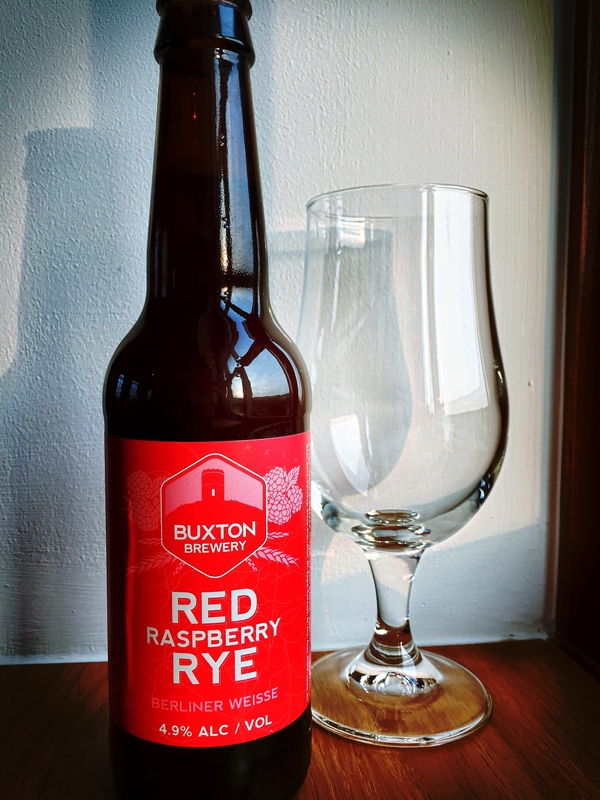 I’m a huge fan of Buxton Brewery – I’m not totally sure they’ve produced a bad beer, or at least one that i’ve tried, yet. From simple and deep beers like SPA, to their glorious Axe and Ace Edges, they’re known for consistency, flavour and having a little experiment. From my point of view, they really knock it out the park with their sours, whether a Berliner Weisse such as this, or a dark sour like Wolfscote. I’ve been thoroughly educated on my sour-style beers since my trip to Brussels last year, and visiting the fantastic Cantillion Brewery, as well as spending far too much time and money in Mort Subite and Moeder Lambic. 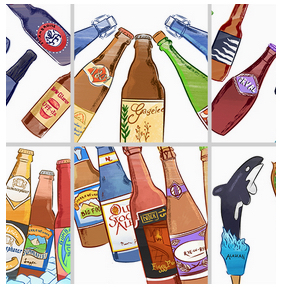 It really was an edifying experience for my palate to discover that there is more out there than US/UK style brewing. Onto the Raspberry Rye. As soon as you open this up, you have that instant sour aroma hit your nostrils, but there’s more to it – blueberry notes, lingonberry, a lemon citrus zing at the edge of it. It’s great to see far too many people try this for the first time, wonderful in it’s unexpectedness. It smells “Pink” for want of a better word, which is a great association to have in your head – peachy and raspberry (obviously) overtones giving it that colour in your mind. It looks like a candy nuclear waste dirty bomb, made palatable. You sip and instantly a massive dark chocolate laste coats your tongue, moving swiftly to orange (but not chocolate orange) and then a final hit of HUGE raspberry flavourings. I’m reminded of drinking Robinsons cordial after having just brushed my teeth, a citric acid gulp and addictive but in a cold way. It’s puckering and tonsil exacerbating as it slides down your throat – fetching memories of fizzy sherbet sweets – but then cleansing the palate and leaving swiftly. The aftertaste as it is is like found fruit, an orchard floor, with fruits of the forest. A fantastic beer, and one i’ll search out again and again. DISCLAIMER: I work for BrewDog and sell BrewDog, Mikkeller and Stone Brewing Co beers into the “North” of England. 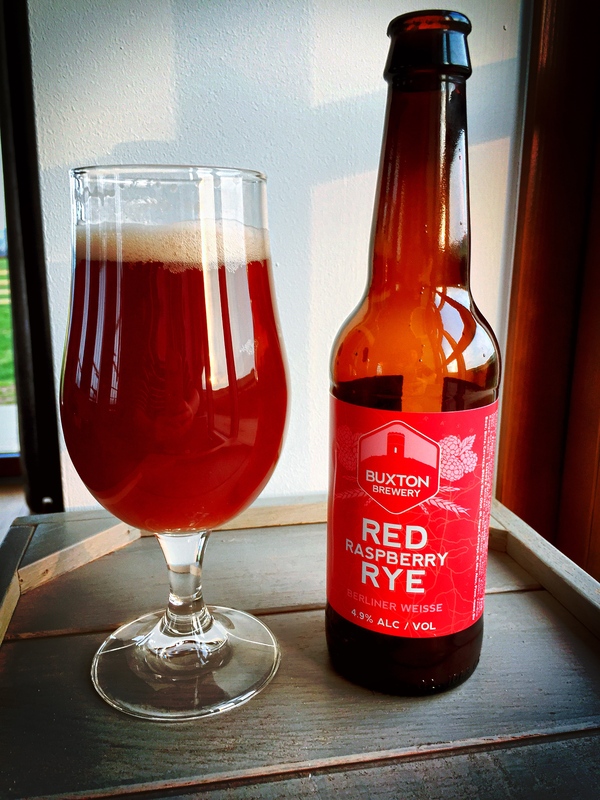 This entry was posted in Beer Review and tagged Beer, Berliner Weisse, Buxton Brewery, Craft, Craft Beer, Raspberry, Rye, Sour. Bookmark the permalink. Beer Me! Jaipur vs. Jaipur X – Clash of the Thornbridge Titans?